Rebuilt Roadranger Transmission. Rebuilt Roadranger Transmissions and Repair Parts. REBUILT ROADRANGER TRANSMISSIONS and REBUILT ROADRANGER TRANSMISSION, all models are in stock in our warehouses across the US and ready to ship worldwide today! Rebuilt Roadranger Transmissions and exchange 5, 6, 7, 9, 10, 11, 13, 15 and 18 Speed transmission models in stock. We have the complete line of rebuilt Roadranger heavy duty and rebuilt Roadranger mid-range transmissions. We also buy Roadranger Transmission Cores, closeout and overstock Roadranger Parts. 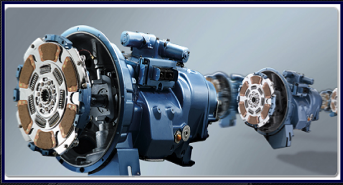 We offer the full line of Rebuilt Roadranger heavy-duty manual truck transmissions. Rebuilt Roadranger Transmission exchange models in 5, 6, 7, 9, 10, 11, 13, 15 and 18 Speed For Sale. Instant delivery or fast shipping on all remanufactured Roadranger units as well as parts. All Roadranger models are in stock, ready to ship. One call does it all. We offer International shipping and same day service. Our warehouses are located all across the US and offer fast delivery. We stock the complete line of rebuilt Roadranger transmissions. If it has a gear, we have the repair parts for it. We also stock the complete line of rebuilt Roadranger mid-range transmissions. Call us today with your model and data tag information, we will locate the right Roadranger transmission or replacement part for you at our wholesale outlet prices. We stock light duty, medium duty, heavy duty, and super duty transmissions. We also carry the full line of parts for truck differentials, PTOs, transfer cases, and fully rebuilt exchange units and new models direct from the factory. Rebuilt Roadranger transmissions in 5, 6, 7, 8, 9, 10, 13, 15 and 18 speed models today. Hundreds of rebuilt transmissions in stock, all models ready to ship or deliver today.